Biogas provides a solution for local/regional waste management as well as a storable and flexible energy source which can help balance the intermittent supplies of other renewable energies. BiogasAction aimed specifically to unlock the potential of Biogas for regions and cities. This Horizon2020 project focused on removing non-technical barriers to create better frameworks for the widespread use of biogas and biomethane in the regions of Auvergne-Rhône-Alpes and North-West part of France, Wales and UK, Croatia, Czech Republic, the Netherlands, Denmark, Latvia and South East Sweden. 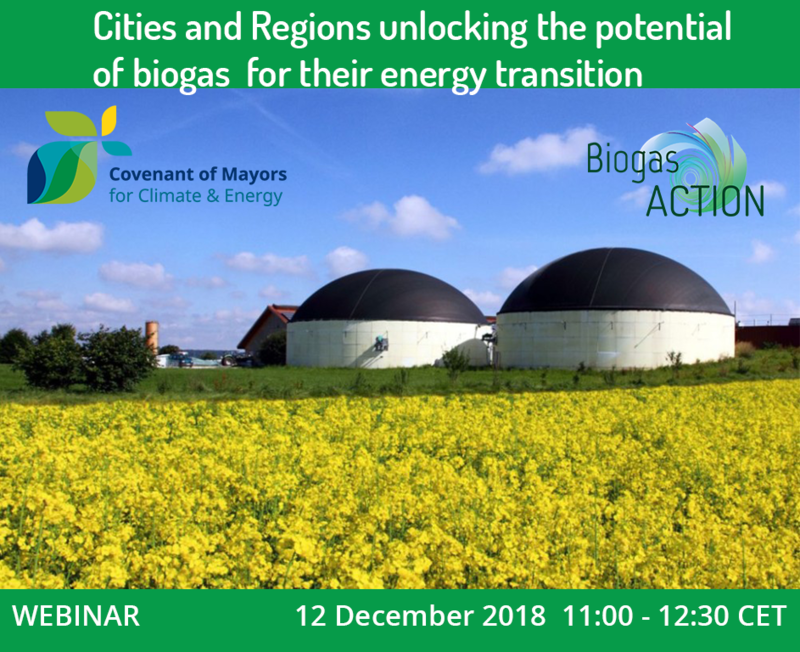 This webinar will present EU’s policy & support framework for biogas, providing insight into the BiogasAction approach and achievements. It will also be an opportunity to showcase how biogas is being integrated in local planning documents in Latvia, and how the Solrod BiogaS plant solves nutrition oversupply and seaweed problem at Bay of Køgen Denmark.